In the ever-dynamic world of digital communication, consumers have most certainly become masters of their own domains. Those with the wherewithal to purchase smart phones, tablets and computers or subscribe to various schemes that provide Video on Demand can truly view their favourite shows when it suits them. With the explosion of the “second screen” concept, individuals can simultaneously interact with news anchors, celebrities or athletes in real time as first screens produce larger-than-life images on huge walls of plasma. Budget conscious governments (and those seeking votes) are also jumping on the broadband wagon largely through social media outlets, advertisements across all platforms and relentless robocalls. To get those messages out almost faster than they are issued, officials and campaigners increasingly look to satellites finding their targets (Direct To Home technologies) or hard-wired cable flooding living rooms everywhere. As hand-held devices increasingly capture and display the unique tastes, interests and idiosyncrasies of their owners, the content and communications world sensed then seized an unbeatable opportunity to grow their revenues: In exchange for releasing some bits and pieces of personal data for free or relatively cheap content, end users can create their personal “channel” while the providers cash in with concrete evidence to advertisers that their marketing materials are reaching the hearts, minds and eyeballs of potential customers who have willingly demonstrated their “fit” with the products. Just as viewers can customize their content, so too can the industry readily funnel pitches that have a far greater likelihood of succeeding than the more usual scattershot approach. To find out just “What’s new and what’s next,” JWR went to New York City for the 2012 edition of Content and Communications World conference (the two-day program at the Javits Convention Center also had streams for HD World, 3D World, SATCON—commercial and military satellite enterprise, Production + Post Expo and related trade shows. 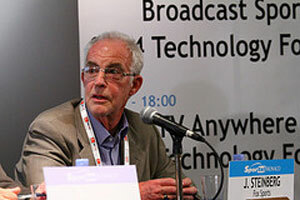 Just prior to the official program, SES (“your satellite company”) invited the press to get an update about its current status and plans for the future. 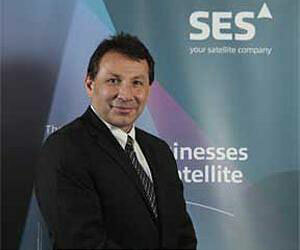 “SES in the Americas” was delivered by Elias Zaccack, Senior Vice President, Commercial Americas.Currently, 52 SES satellites provide coverage for 99% of the world’s population delivering 5200 TV channels, 1400 HD channels to 258 million homes (yet virtually none of that in Canada; with such an impressive reach and state-of-the-art technology, SES seems an ideal partner for Canada’s quest to achieve its own “moonshot” ambition that “anyone can do anything online by 2017”—cross-reference below).